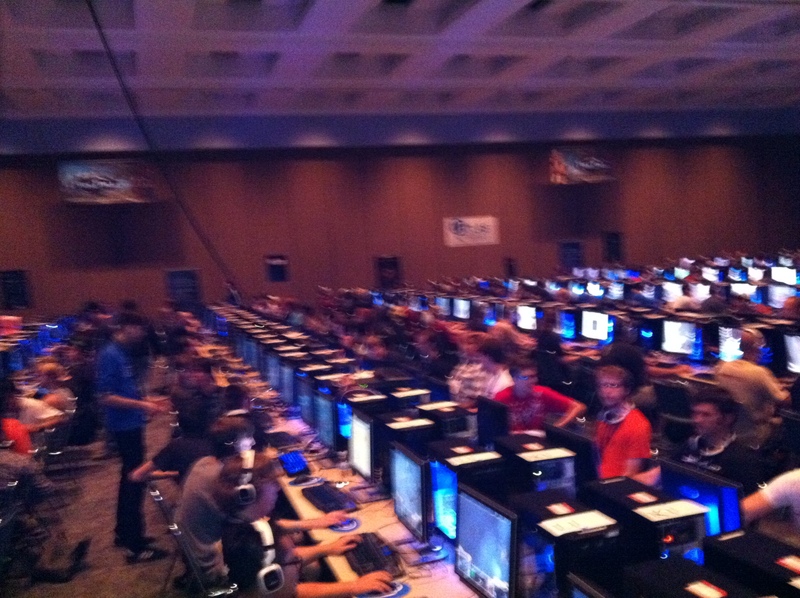 My family and I are still beaming from our first visit to PAX Prime, Seattle’s premiere gaming convention last weekend. The convention featured games for console, computer as well as table top games for three action packed days. Seventy-thousand attendees enthusiastically endured hours in line to get into the Seattle Convention Center, then lined up again to play the newest beta launches of the biggest blockbuster games (while receiving plenty of terrific swag to remind them to buy the game later). It was the largest PAX ever and one of the biggest gaming cons in the world, a clear sign that the gaming industry in our region is booming. There were plenty of cosplayers (fans dressed in amazing detailed costumes as their favorite game character), hardware vendors to help you can decide what components to put in your next gaming computer, multiple gaming tournaments and indie game developers there to talk about their latest releases. It was an all out two-way geek-fest where fans got to share their giddy appreciation for the games while game producers chatted up the end-users and learned what they think of their product. The passion from both attendees and exhibitors was electric. I wondered if this huge gaming community could be an anomaly since, after all, we do live in Seattle where there are at least 150 game companies. Ubisoft launched Assassin’s Creed Revelations, their fourth installment of the epic historical third-person action video game; The plot and the artwork of the game is striking as it takes place in Ottoman Constantinople in 1511 AD. The story integrates real historical figures and geographic locations with a Sci-fi twist. 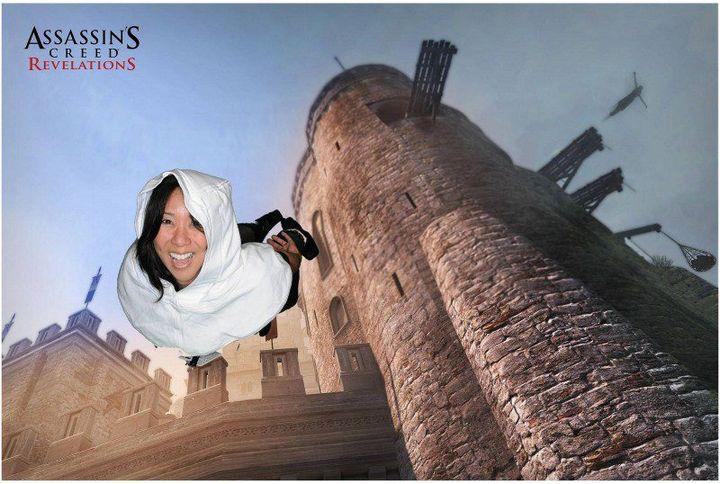 Fans were lining up to take photos at their ‘green screen’ booth so that you could see yourself with the Assassin’s Creed background. They gave me a card to visit their Facebook fan page. Several PAX Prime exhibitors required folks to register either on Facebook or Twitter before entering a drawing or participating in a game. I’ve never been to a conference like that before, but its smart, guaranteeing fans new updates while increasing the vendor’s ability to monitoring fan engagement. Despite all the “smoke and mirrors” of these bigger funded top brand games, I was also drawn to the innovators; the developers of indie games. *PAX Prime showed their commitment to exposing gamers to fresh ideas by allocating 10 free booth spaces to indie game developers who often don’t have the funds to promote their hard work but are fueled with passion. I interviewed a few of these developers to hear about their games and personal stories. Matt Gilgenbach’s exhibitor persona, with his yellow miner hat, sticks out from the hungry indie game crowd. As co-founder of 24 Caret Games, he has developed an interesting story where the game must be played, in reverse, in order to save the space time continuum. His team has created a stunning and engaging visual game called “Retro/Grade” (soon to come out on Playstation 3). My family was excited just to encounter a game that we could use our guitar controller for now that Activision’s Guitar Hero no longer being manufactured. I also interviewed multi-talented creator of Universe Sandbox, Dan Dixon, who shared how he started this project and what makes his video game so unique. Universe Sandbox is an interactive space simulator for Windows based PCs. It’s a powerful gravity simulator and an open ended game where the user can manipulate stars, entire galaxies and change variables for to see vivid graphic animation. As a parent & former home-schooler, I think this is an great way for families to satisfy their curiosity about astronomy combining different “what if” scenarios. You can buy it here for $10. The blob grows as he devours through each level! Younger kids will love it, and it just reminds me how a big bolus of food will track down an esophagus during digestion! Nice job guys, great to meet you at PAX Prime! Great Post! I especially enjoyed watching the bubbling liquid nitrogen cooled computer board. It doesn’t get much geekier than that!